Tana Amen:	So we are back we are still with Andy Ramage and One Year No Beer. We are having such a good time talking about why he went alcohol free. All the positive changes in his body, his brain, his performance. But now we're gonna talk about the habits. Why people do this, cause I love what you said. You'd walk into bar, you told yourself you were gonna order water. But then you ended up ordering the beer. And that's a really important point. Because we get triggered by certain ... anchors almost I'll call them, like things that we are even unaware that we're being triggered by. Smell or sounds or you know the sight of something. And with the best intentions in mind they go right out the window. So talk to us about, you know habits. Like how did you change that habit? 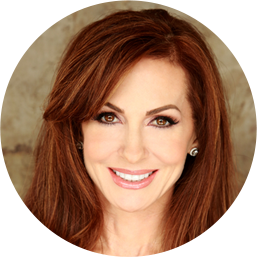 Daniel Amen:	learned about habit change and helping others? Andy Ramage:	Yeah its that limbic part of our brain. That primitive part of that brain that takes over. And it's so important to know. Because for example, when I get into that routine now and I get to the bar. I'd order an alcoholic drink even though I told myself I wasn't gonna do that. That is such a key moment because I started to doubt myself. You start to think "Maybe I've got this problem, maybe my genes are faulty." I was embarrassed I couldn't follow through, maybe I was a will power failure. And I think at that very point so many people give up. And what they do is, they stay with the crowd. It's much easier to keep drinking because then no one would ever notice that I was actually this willpower failure that I made up in my mind. Andy Ramage:	And walk away where we can see your hands. You know and it's almost education. It starts right there I tell people "It's not the end of the world. Don't let this be an excuse." And there's lots of research behind this. I think you said Janet Polivy from the dieting world first discovered this. It's called what the hell effect. Because people would reach that point, where they'd say there not gonna drink. Then accidentally have a drink or a cream cake and that becomes this big excuse to let the flood gates open and drink ten drinks or eat ten cakes. When actually ... do you know what, it's just one slip you know psychologically you've been programmed to do this stuff. You've tripped up don't worry about it. End it there. Learn from your mistake and come back stronger. And this is a real fundamental part of what we're doing around habit changes. To catch those initial mistakes, learn from them, and start to come back stronger. Daniel Amen:	With higher cravings, more depression, and more issues with judgment. So there's some really simple things, once you make the decision to change how you support it. And I loved what you said. Which is if you slip, well don't fall and crack your head. Learn from it, and go well okay ... So whenever I have patients that slip and they say slip all the time. We actually have somebody in our family whose had some serious problems. And when she slipped, the question is okay I wanna learn all about it. You know rather than judge someone as oh your bad. It's ... Well let's learn from it. So it doesn't have to happen again. Did you go too long without eating? Do you believe every stupid thing you thought? Did you not sleep well? What? Tana Amen:	One of the things I wanna push on a little bit Andy cause it's so important. I've done a lot of work in an NLP myself in the area of performance and just clearing some of the past triggers that I've had. And I think it's amazing. It's like this amazing shortcut. So I love it. And one of the things I love about NLP is that one of the things Daniel talks a lot about and that I love. You know from a brain perspective is how our templates sometimes get set. Our emotional brain. Andy Ramage:	Is it the social comradery of being with friends? Is it a chance to relax? What is it? And that's so okay because a lot of the time people are actually playing these routines. Which is the alcohol routine to get something that they could achieve without alcohol. Andy Ramage:	So I think it's a really important part. And it works. It works extremely well. Daniel Amen:	Areas and then coming up ahead of time with a strategy for dealing with that. Tana Amen:	So this is a very different environment, but sort of an interesting kind of example. I was getting ready to take my black belt test and I didn't wanna take it. And I actually told my master "I don't wanna take it." Cause where I train very high level athletes and I'm older and I had this whole list. I'm not as strong, I'm not as big, I'm too old, I'm whatever. This whole list ... I have health issues. And I didn't understand why cause I had my whole life been an athlete, but I just couldn't get myself in that place. To ... I couldn't see myself standing next to these people with the belt on. And so when I did some NLP, what I ... People don't even understand. So this is what you said about consciousness. They don't understand and they don't pay attention to what they're really seeing in their head. So when I had someone walk me through this process. And this is so important. We stopped and slowed down. And what I was seeing in my head were these people who were much bigger than me. Who were much stronger than me. I was smaller, I was weaker, and I wasn't performing the same. But when I became conscious of it, I literally physically shrunk them down in my head to my size. Made them normal sized. Made myself their size and went through the visualization process of not only performing you know 110 percent. And then I visualized myself 15 minutes after that test wearing that belt. And I can't even tell you what that did for me. But it was seeing them bigger than me and stronger than me and me weak that just was holding me back the whole time. People don't see that they do that even it the situation of drinking alcohol. It's bigger than them or the social environment is too complicated. Or it's ... whatever it is that picture they've created. They make it bigger in their head then it needs to be. Andy Ramage:	Yes that's a great example. We have one and we call it the crossroads. It's not about sort of changing the sort of dynamic of the picture in many ways. But it's that visualization a bit like what you said there. When you come 15 minutes after you've achieved the black belt how did you feel? And we have one with the crossroads. Which is you can you know you make the path and you can choose that path or continue on with your old habits. Or you can take the path of this new healthy bright vibrant you. And then we fast forward to that six months later. How do you feel? What are your emotions? And these things are so powerful. I love it again. It's all the NLP stuff, but it's so powerful to take people I think out of their current settings. And those stuck mentality that they've got and give them that hope, that light. Actually I got this, I can really achieve this. And this is what it's gonna feel like. And that's very powerful I think around habit change. Andy Ramage:	And then to couple that as part of this challenge on the alcohol free challenge your this doing visualization. But then everyday your proving to yourself that actually you can do this. Andy Ramage:	And you build that self-confidence. Yeah and then it snowballs and it links together and you become stronger and stronger and more confident and everything starts to change and that's huge. 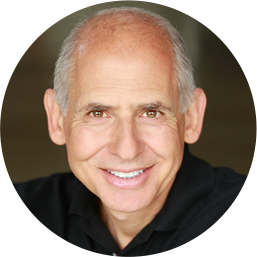 Daniel Amen:	So how can people learn more about you and your work? Andy Ramage:	Really simple, oneyearnobeer.com. If you go there, you can sign up. All the information is there. All the videos are there. Come and join in the fun. Again this is all about not [inaudible 00:12:02], but gaining a huge advantage. And just to be clear this is not an abstinence program. This is very much a prevention, label free, stigma free challenge. That's all it is. Come and enjoy. Come and check it out. If you enjoy it great. Carry on with it. Daniel Amen:	For your time. It was great fun. And we will share this everywhere we can. Andy Ramage:	That's fantastic thanks guys. 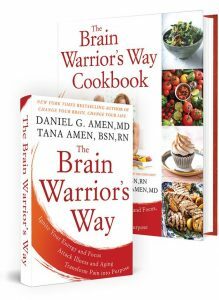 Daniel Amen:	Your listening to The Brain Warrior's Way Podcast. Thanks for being with us.